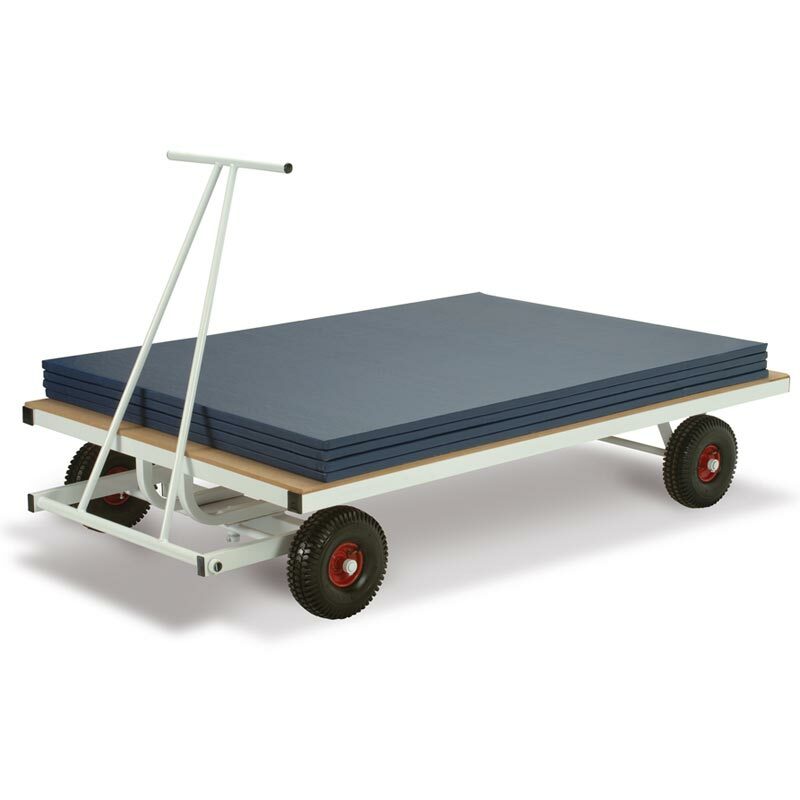 Harrod Sport ® Super Heavy Duty Trolley is suitable for 2m x 1m and 1.8m x 1.22m and 1.22m x 0.9m rigid mats. Frame is manufactured from heavy duty 50mm x 50mm steel. Folding handle and axle steering 'trailer' action for easy of manouevre. Size of trolley 1.2m wide x 2.2m long x 1.2m high. Designed to carry a maximum of 45 x 25.4mm mats or equivalent.